The term “Big Five” is undeniably catchy. It was adopted by the safari business to excite visitors about the most iconic and fearsome quintet of mammals found in Africa: the lion, leopard, rhinoceros, elephant and Cape buffalo. And it is also undeniably effective; millions come to the continent every year to catch a glimpse of these awe-inspiring animals. But of course there are dozens of other remarkable creatures to be found in Africa that should not be overlooked. We’d like you to meet four species that comprise the extended family of the Big Five: the cheetah, hippo, zebra and giraffe. All together they constitute the “Big Nine,” a catchphrase that perhaps better captures what you should look out for while on safari. The cheetah: Though it is also spotted like the leopard, the cheetah should not be confused with its larger, more powerful cousin. 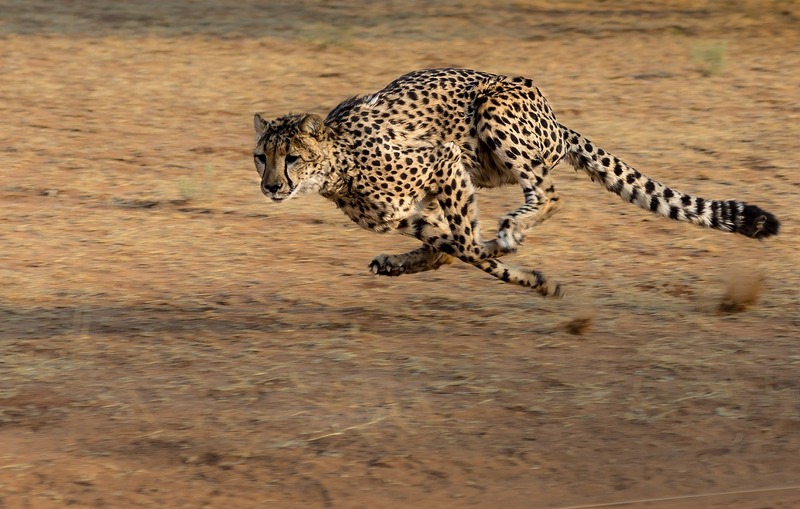 These sleek, slim and exceptionally beautiful endangered creatures are the fastest land mammals on Earth, and can run up to 70 miles per hour. They can be found in many parts of southern and Eastern Africa, including the Maasai Mara, but because their numbers are small and their range so wide, sighting one is a rare but very rewarding experience. Though they are typically solitary animals, if you do happen to see a group of them, you’ll impress your friends by calling it a “coalition” of cheetahs. 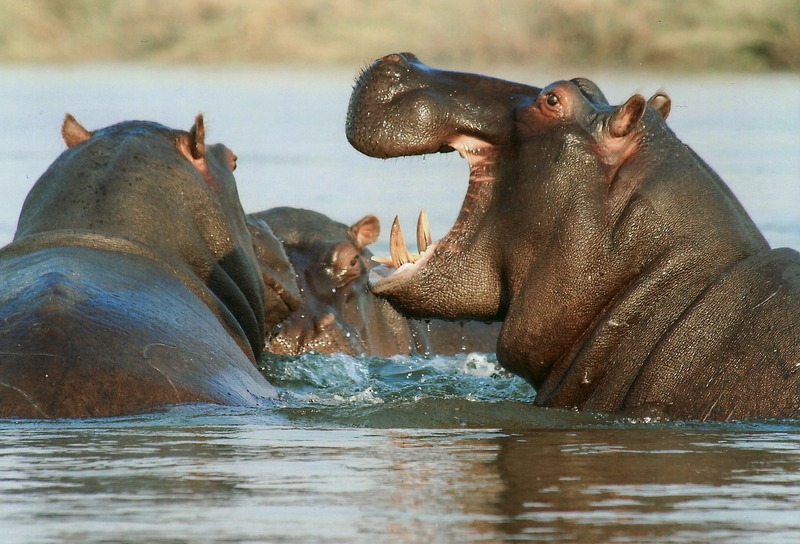 The hippopotamus: Hippos are a far more common sight on safari than cheetahs, but most visitors only see their eyes and nostrils as they lurk just below the surface of the rivers and lakes that they love. Though hippos may look placid, they can be aggressive and territorial when provoked -- bet you didn’t know that they are actually the most dangerous land mammal in the world! So keep your distance, and if you’re patient you’ll see a “pod” of these giants as they emerge from the river in the evening to munch on grass and leaves. 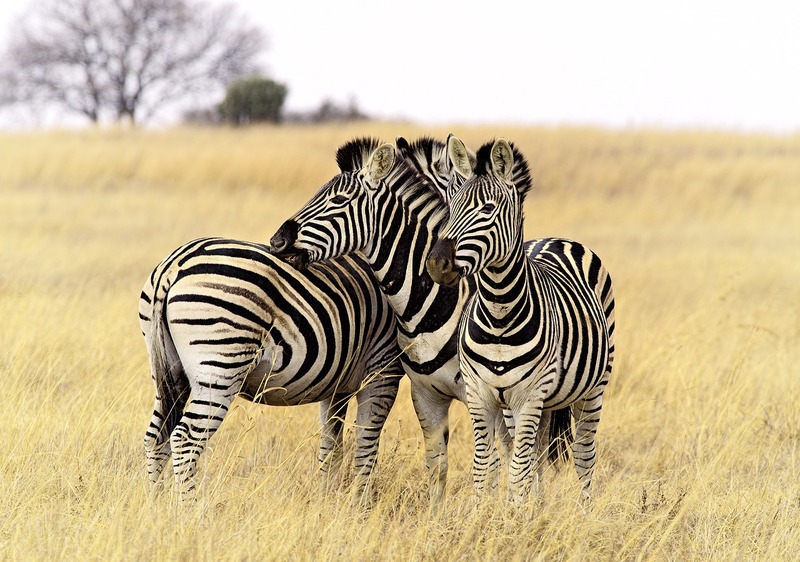 The zebra: Zebras are perhaps the most visually striking mammal in Africa. Though they all boast bold black and white stripes, each zebra has its own unique pattern, the same way you and I have unique fingerprints. 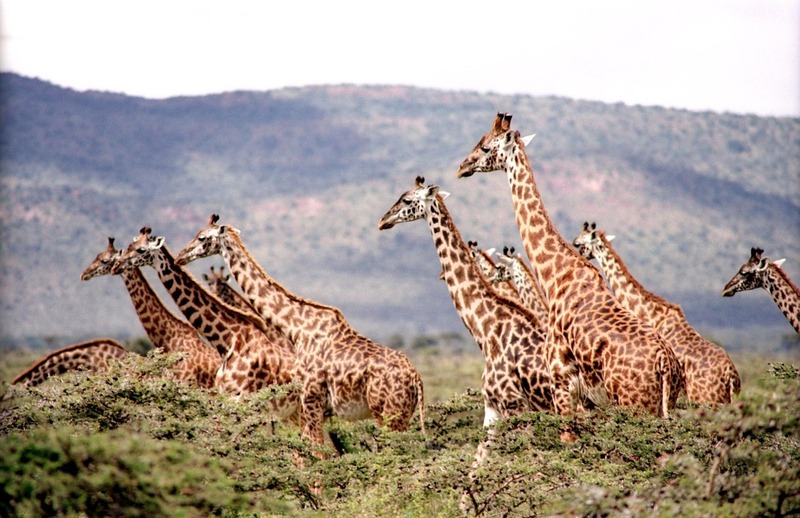 They can be seen roaming the plains of southern and eastern Africa in social groups called a “harem” or “dazzle,” often nibbling each other’s necks, “horsing” around, or more importantly, protecting each other from predators such as lions and hyenas. The giraffe: The tallest of African mammals is not hard to spot, and considering their height it’s not surprising that a group of giraffes is called a “tower.” They spend their days with their heads high in the treetops, foraging for leaves, which they pull off branches with their 20-inch long prehensile tongues. When they’re not eating, they’re roaming the savanna looking for their next meal, and keeping an eye out for lions. Yes, lions have been known to attack giraffes, even though they are 10 times their size, but giraffes are usually able to defend themselves by running away – they can reach speeds up to 35 miles per hour – or by delivering a swift, powerful kick.